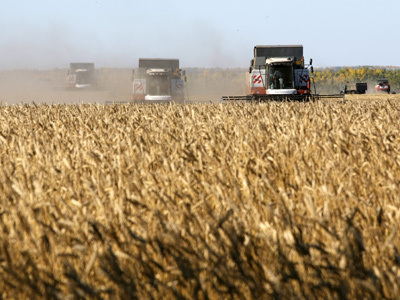 The Russian Ministry of Agriculture has decided to sell grain from the state intervention fund to keep domestic grain prices from rising further and to support exports. 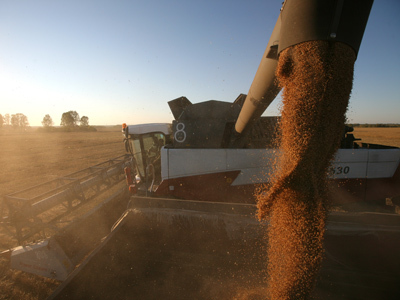 ­The move came after grain prices in Russia increased from 5,700 roubles to 6,050 roubles per tonne in February. 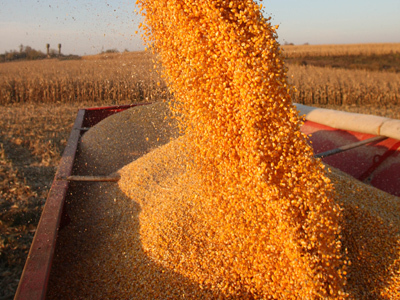 Price hike in the domestic market also affected grain exports as the volume dell to 0.95 million tonnes in February comparing to 1.33 million tonnes in January, according to Rosagrotrans, the country’s major grain transporter. The Ministry of Agriculture plans to sell about 1.5 million tones in the Central district of Russia as well as in Volga region. 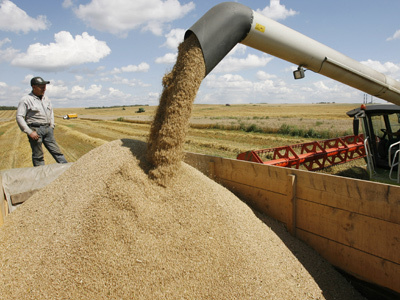 The price for grain is set for 5,000 roubles or $ 168 per tonne. The authorities hope this measure along with better weather conditions at southern ports on the Black sea will push grain exports up to 1.5-2 million tonnes in March. “We are going to introduce commodity intervention carefully in several locations in order to maintain the fragile pricing policy in the regions”, Sergei Sukhov, the Director of the Ministry’s Agricultural Market Department. Meanwhile experts don’t expect the commodity intervention to significantly affect domestic prices. “Selling from the intervention fund is likely to chill the market, but falling prices are unlikely, because net prices are close to market prices”, said Oleg Sukhanov, analyst from the Institute for Agricultural Market Studies. “Grain prices have been rising in Siberia in the recent months, as exporters had to buy grain there instead of the Southern regions,” he added.